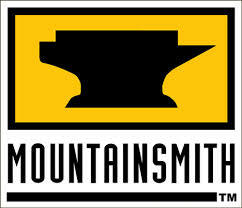 Mountainsmith was founded in 1979 by legendary outdoorsman Patrick Smith and was born of a need for seriously durable gear that could withstand the rigors of backcountry pursuits in the Rocky Mountains of Colorado. His initial product innovation was the world’s first fully rigid backcountry ski sled to haul massive loads of gear effectively and efficiently through the harsh Colorado winter wilderness. Soon after, Patrick Smith came up with the iconic lumbar waist pack to effectively carry gear while backcountry skiing and secured the first patent for a lumbar pack, US PAT #5529230, using our Delta Load Compression system which carries on into the present day within a variety of our packs and classic lumbars. As a company, Mountainsmith continues it’s commitment to building the best made, most durable and functional packs on the market; unmatched by anyone for their comfort, stability, value and performance in the backcountry. This tradition of legendary quality continues with a full line of outdoor products for today’s active lifestyle consumer. The quality and comfort of all Mountainsmith products – technical backpacks, trekking poles, tents and sleeping bags, travel storage systems, luggage, pet products, camera bags, as well as our iconic lumbar packs - set a standard of excellence in the outdoor marketplace. Mountainsmith manufactures, markets, and distributes a wide array of products designed to meet the demands of rigorous travel on and off the trail, through mountain valleys, summit ascents, campus quads, red rock canyons, and far off airports...anywhere your next adventure takes you.